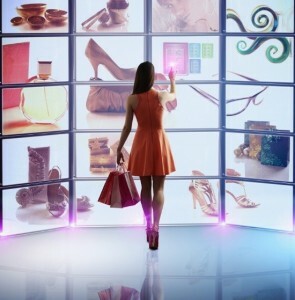 Will 2019 be the year of an IoT epiphany in retail? Whether you're reading industry articles about smart tags or analyst reports about inventory tracking, you've probably noticed an uptick in coverage on the adoption of IoT (and RFID) in retail. Since I've been following these topics for awhile, I've decided to dedicate a series of posts on the ways IoT can be used in retail. My hope is that these use cases will inspire retailers and customers alike to think about the benefits of the technology. In the past 10 years, a string of roadblocks have prevented wide-scale adoption of sensor data in retail. At the same time, industry trends like retail bifurcation (luxury brands on one end, low-cost retailers on the other) and the Amazon effect have pushed even traditional industry leaders to revisit their positions on IoT adoption. Clearly, margin erosion is a concern for today's retailers, while tighter labor markets and widening skill gaps compound the need for greater automation in many business processes. Early adoption of old-school sensor technology like Electronic Article Surveillance, or anti-theft devices, helped to address mounting shrink figures, which were as high as 3 percent of sales in some sub-sectors. Could there be new, emerging IoT use cases that drive similar tipping points in adoption of IoT and sensor analytics in retail? Truly experiential shopping trips can increase shopping frequency, say 89 percent of "Retail Winners" surveyed in a recent joint study between RSR Research and SAS. These high performing companies realize that omnichannel, real-time interactions with contextual awareness can help retailers compete with aggressive, low-price leaders like Amazon. As IoT devices become more common, their ability to generate a digital representation of things going on in the physical world holds vast allure for retailers. Underlying technologies like event stream processing, real-time decision management, geospatial analysis, predictive analytics, smart wearables and dynamic signage drive a wide range of sensor-based customer experience projects. Remember that scene in the 2002 thriller Minority Report where Tom Cruise attempts to blend into the crowd in a futuristic subway? While it's unlikely that a retina scan will launch personalized brand messages for your on your next trip downtown, make no mistake: hyper-personalized engagement is here today and is a leading use case for IoT. Visibility into customer's digital shopping behaviors. Connecting consumers' online and offline activities. My next post will explore the case for and driving factors of IoT-optimized fulfillment and automated supply chain optimization use cases. So stay tuned and send me your ideas on what it will take for IoT to arrive in retail. Greg leads SAS' Global Retail Product Marketing group with over 20+ years of Retail, CPG, and Telco industry experience. Over his career he has worked with major global clients specializing in Merchandising & Supply Chain Analytics and Customer Insight solutions.